The Center for Economic and Social Rights (CESR) has been centrally involved in helping to define how human rights can be meaningfully operationalized into the Sustainable Development Goals. During the negotiations to define the Agenda, CESR was a co-convener of the Post-2015 Human Rights Caucus, and worked with many other development, feminist, environmental and human rights organizations to advocate for a strongly human rights-aligned set of goals. Since 2015, CESR has been proposing policy solutions for achieving the SDGs, particularly as they relate to inequalities, and exploring how to create more meaningful accountability for the Agenda. CESR also works to advance accountability in economic, fiscal and social policy more broadly, particularly in the wake of the global economic crisis, and supports the efforts of civil society groups worldwide to engage with human rights accountability mechanisms at the national and global level. 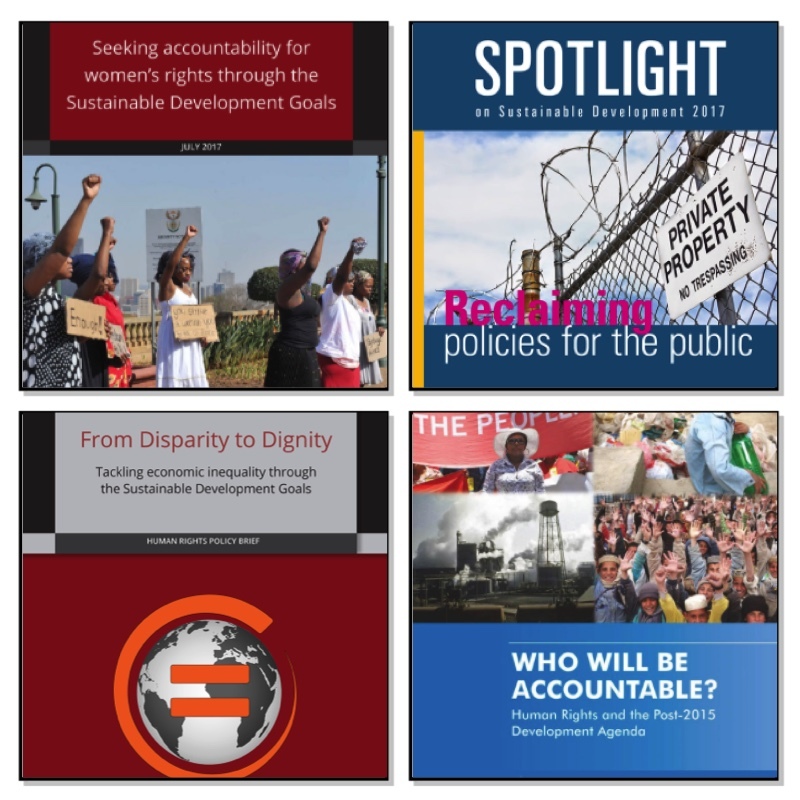 Key publications relating to the SDGs can be accessed here.